Venezuelan president Nicolas Maduro has compared Brazilian counterpart Jair Bolsonaro to Nazi dictator Adolf Hitler, after Brazil’s new head of state suggested that he was working with the United States to lay the grounds for a military coup in neighboring Venezuela. During an interview with the main Brazilian radio station, Jovem Pan, Bolsonaro made no effort to hide the fact that his government was working with the administration of US President Donald Trump to bring down the elected government of Maduro. “I call on the military forces of Brazil to cut off the madness of Jair Bolsonaro and his threat of war against Venezuela,” he added. Bolsonaro, who is also known as “Trump of the tropics,” met his American counterpart in Washington in March. During the meeting, Trump reiterated that he kept “all options”on the table to topple the socialist government of Maduro, including military action. 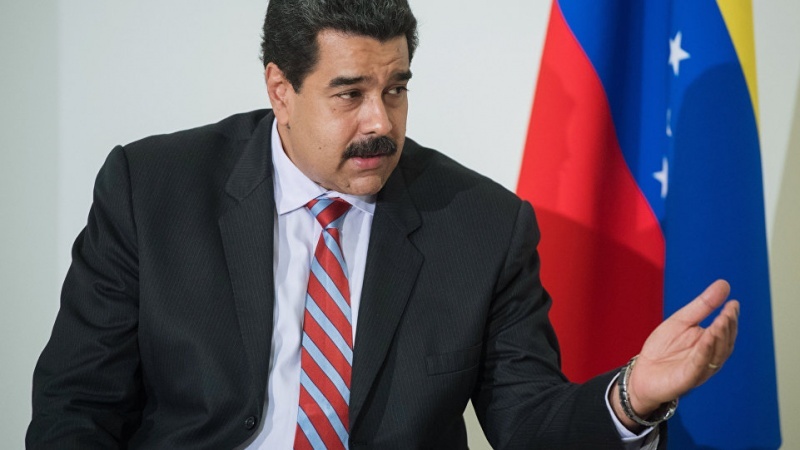 Maduro has blasted Trump for adopting an “extremist, unwise and improper” position against Venezuela, saying that Washington has never been concerned with “democracy” or “humanitarian crisis” in Venezuela and is rather eyeing the country’s wealth and rich energy resources.